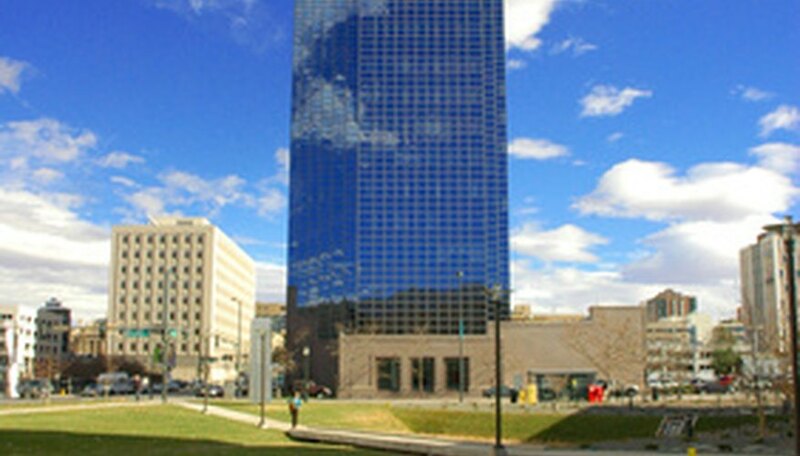 Denver is a city on the plains to the east of the Rocky Mountains in Colorado. Parts of some Denver suburbs go into the foothills, but most of the city is about 5,280 feet above sea level. Denver is in United States Department of Agriculture (USDA) zone 5, but in some rare winters, temperatures can sometimes drop for brief periods to minus 25 degrees F. Those years, however, are rare. There are many types of bamboo that grow well in the Denver area. Although many people think of bamboo as being a tropical plant, bamboo species exist in China and Japan that survive in very cold mountainous regions. A number of varieties of bamboo will overwinter in Denver. Some may even remain green well into the winter. Among the varieties that will survive in USDA hardiness zone 5 is the umbrella bamboo. This bamboo can grow to between 10 and 15 feet and can grow to a cane diameter of up to 1/2 inch. Another variety is the blue fountain. This bamboo can grow to between 12 and 15 feet and to a diameter of up to 3/4 of an inch in diameter. Two types of bamboo gathered and propagated from specimens from Jujaoguo, China also will survive in Denver. These two varieties can grow to 12 feet tall and 3/4 of an inch wide. Most bamboos that will grow well in Denver are clumping bamboos, not the potentially invasive forms that reproduce by aggressive runners. The sun in Denver, especially in the summer, can be very intense because of the city’s altitude. Plant your bamboo in places where it is protected from full sun. In nature, bamboo grows under the protective canopy of a forest. If you must choose a location that gets direct sun, choose one that gets the cooler morning sun and becomes shady during the hottest part of the day. Denver is semi-arid. Although bamboo can be drought tolerant, it still needs water. Bamboo requires about an inch of water a week during rainier times of the year, but will need 2 inches or more, if possible, during the hottest times of the year. Water your bamboo with a soaker hose to minimize evaporation. Keep your bamboo mulched to minimize evaporation from the soil. If you want to grow bamboos that will not winter over, you can grow bamboos in a pot. By moving the pot inside over the winter, you remove the limitation on using only bamboos that grow well in USDA zone 5. Potted bamboos do well in Denver. Because they are growing in a limited space, they require less water than a larger grove in your yard. By growing bamboo in a pot, you can grow either clumping or running bamboo without the risk of it becoming invasive.